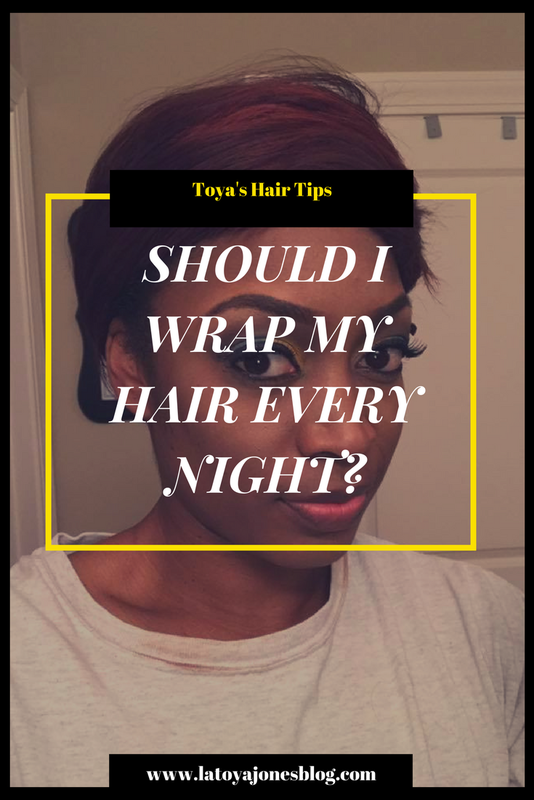 Toya's Hair Tips | Should I Wrap My Hair Daily? Should I wrap my hair every night? 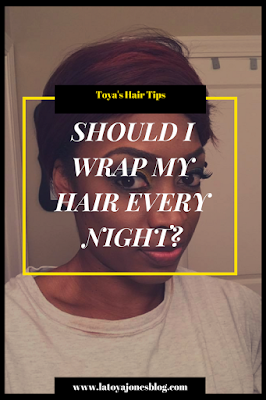 Today's Toya'a Hair Tip comes from the question, "Should I wrap my hair every night?" If I had one dollar for every time I got asked this question I would be rich enough to take care of every single person in even my extended family very well! Let's just say I get asked this question A LOT. Wrapping the hair, in my professional opinion, is the easiest way to maintain your relaxed hair at night. It lays your edges down (which we all know is very important), helps lay your roots down (which is as equally important as the edges! ), and helps keep your split ends from splitting as fast. I absolutely recommend wrapping your hair nightly, especially your relaxed hair. Natural girls will have to opt for the satin bonnet since wrapping the hair is not an option for many. Also, for those that experience pain when wrapping to the same side all of the time, I recommend switching sides up regularly or cross wrapping. Do whatever works for you!